How quick are UAE hospitals in adopting the latest innovations? Over the past decade, innovation in healthcare has moved beyond new treatments, diagnostic procedures and surgery techniques to include personalised medicine and technology-enabled care. Industry experts have identified technologies such as artificial intelligence, virtual reality, 3D printing, wearables and even drones as agents of change. What are the innovations that have found favour with the leading hospitals in the Emirates? GN Focus finds out. The technology is at the forefront of developing personalised medical care, be it through surgeries planned around a patient’s exact anatomy or customised surgical implants. By practising on anatomically correct models in advance, surgeons are better equipped to anticipate challenges and avoid adverse effects, providing better outcomes for patients, says Dr Navarro. 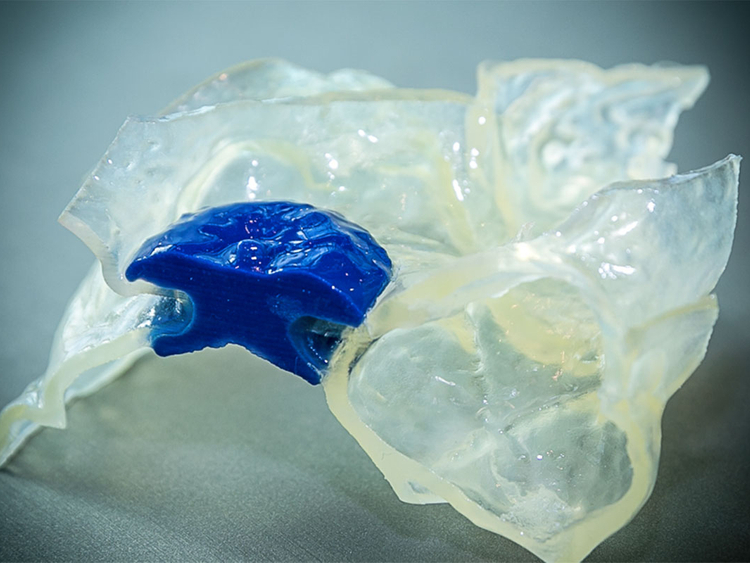 Cleveland Clinic Abu Dhabi’s Heart and Vascular Institute introduced 3D printing way back in 2016 to help with challenging valve and device implants as well as surgery for congenital heart diseases. Cleveland Clinic Abu Dhabi has also been one of the early adopters of robotics in the UAE and uses it across surgical fields. It has many firsts to its credit such as removing a myocardial bridge — a congenital heart defect — using robotic technology in 2017 and the UAE’s first robotic hysterectomy last year. “Robotic surgery employs surgical instruments and high-definition cameras on thin robotic arms, enabling surgeons to operate in smaller spaces with greater precision, flexibility and control,” says Dr Rakesh Suri, CEO and Chair of Thoracic and Cardiovascular Surgery, Cleveland Clinic Abu Dhabi, which uses advanced robotic surgery for heart disease patients. The hospital has also used robotic surgery to remove liver, kidney and colorectal tumours in recent years. Mediclinic City Hospital too created history last January by conducting the first robotic-assisted surgeries for partial and total knee implants in the Middle East. “Using a robotics-assisted handpiece such as the Navio Surgical System enables a surgeon to plan the surgery accurately intraoperatively, position the implants and reduce the risk of errors during the procedure, while decreasing the length of time it takes for a patient to recover,” said Dr Ali Al Belooshi, Consultant Orthopaedic Surgeon at Mediclinic City Hospital, after the surgery’s introduction. By using patient-specific information to set boundaries for the robotics-assisted handpiece, the Navio Surgical System allows for greater precision in positioning the implant, helping to deliver improved function, feel and longevity for the implant. It’s the next step in personalised connected care. Thanks to GetWellNetwork, a healthcare solutions company that uses connectivity to engage patients, families and doctors, the patient room at King’s College Hospital London in Dubai Hills offers an inpatient experience that’s empowering. The network provides patients with information related to their diagnosis, the ability to message the doctor as well as updates on daily care, all attached to a modern entertainment system. If the patient wants to work from their hospital bed, there’s an option for that too. A host of technologies come together to make the system work. “The patient room of the future incorporates cloud computing, machine learning, artificial intelligence and the internet of things in the form of features such as telemedicine, interactive media, multicasting and asset tracking,” says Christian Schuhmacher, CEO of King’s College Hospital London — UAE. Medcare Orthopaedics and Spine Hospital uses digitalisation to deliver quality care. “The hospital is part of Siemens Teamplay, a departmental performance management solution that brings together global levels of expertise,” says Andre Daoud, CEO of Medcare Hospitals and Medical Centres.